Start at the RIDGE VENT and cut between the Trusses. When you get down four feet, the cut will fall. This cut only requires two cuts. The top one is already there because of the ridge vent and the bottom is where the next sheet of plywood starts. 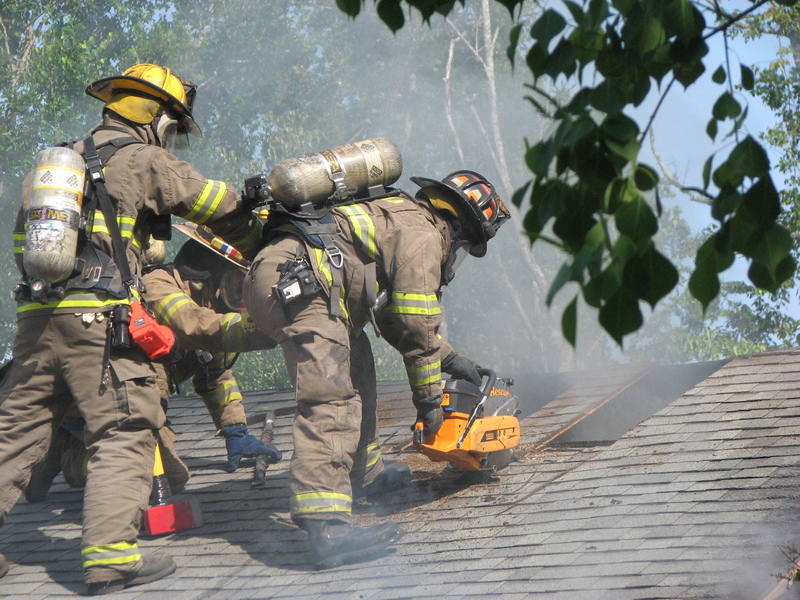 A 4′ by 18″ will do a lot on a house fire.